Huddled on a sand dune, the small community of bristly Lepidospartum burgessii plants would be easy for most of us to overlook. But to scientists from the Chicago Botanic Garden, the rare shrubs shine like a flare in the night sky. This is one of two known locations of the species worldwide—both in New Mexico—and the center of a rather dazzling rescue mission. Evelyn Williams, Ph.D., a Garden postdoctoral research associate, is pulling out all the stops to save the sensitive species. 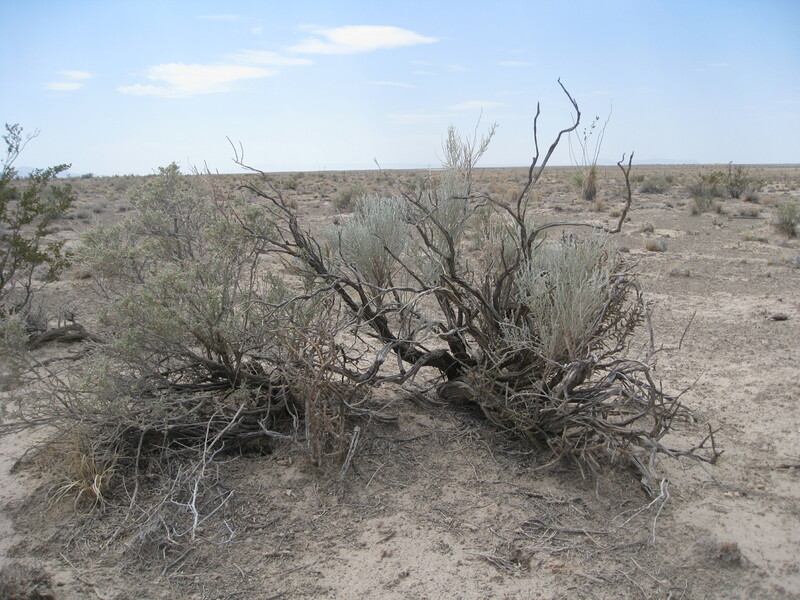 Commonly called Burgess’ scale broom, it has suffered from a mysterious lack of seed production since the late 1980s. Burgess’ scale broom (Lepidospartum burgessii) are among the tallest plants in their New Mexico location. 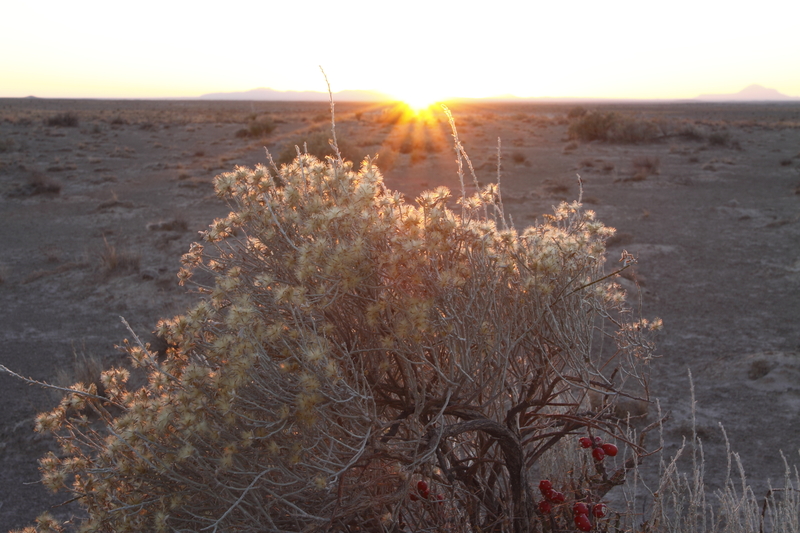 Standing about five feet tall, the silvery-green plants only grow on gypsum dunes. They possess unique characteristics that allow them to help stabilize sand dunes in the desert conditions where they live. “I’m interested in how we can use genetics broadly to address conservation and ecological restoration questions,” said Dr. Williams. Her curiosity led her to the Garden in 2011 to join a team of genetic experts for this formidable undertaking. The team suspects that, because the two populations of Lepidospartum burgessii are relatively small, the existing plants have interbred and are now too closely related to pollinate one another—which means they cannot produce seeds and create new plants. Williams set out to confirm this theory, gathering plant cuttings during summer fieldwork in 2013. She hoped to grow the cuttings into full plants that she could cross-pollinate and study at the Garden. She also took samples from 320 plants back to the Garden. There, using a microsatellite technique, she recorded the genetic pattern of each plant, noting similarities and differences. “When we have all of these different shrubs from a population, we want to use a fine genetic tool to tease apart genetic variations,” she explained. The microsatellite approach allowed her to identify genetic markers occurring in multiple plants down to the finest level of detail. The results were encouraging. Williams found enough genetic diversity within the two populations that they should be able to cross pollen, or DNA material, and produce seeds. “Because there is diversity in these populations, we’re really hopeful that if we do a genetic rescue we can get some seeds in these two different populations,” said Williams. A genetic rescue, she explained, is when a species is revived with the addition of new genes, which normally occurs during pollination. That day didn’t come right away, as the cuttings failed to grow in the Garden greenhouses. Accustomed to the trial and error process of scientific discovery, Williams moved on to her backup plan. Evelyn Williams, Ph.D., delivers pollen to a plant. She returned to the field in October, where she personally carried pollen-filled flowers from one population of plants to another, brushing the fluffy yellow blooms against other plants that may accept their genetic material. With plants as much as one mile apart, it was a process of patience and precision. She will soon look for seeds in the resulting buds from that pilot study with an x-ray machine in the Garden’s Harris Family Foundation Plant Genetics Laboratory. Williams is poised for the challenge of whatever she may, or may not, find. 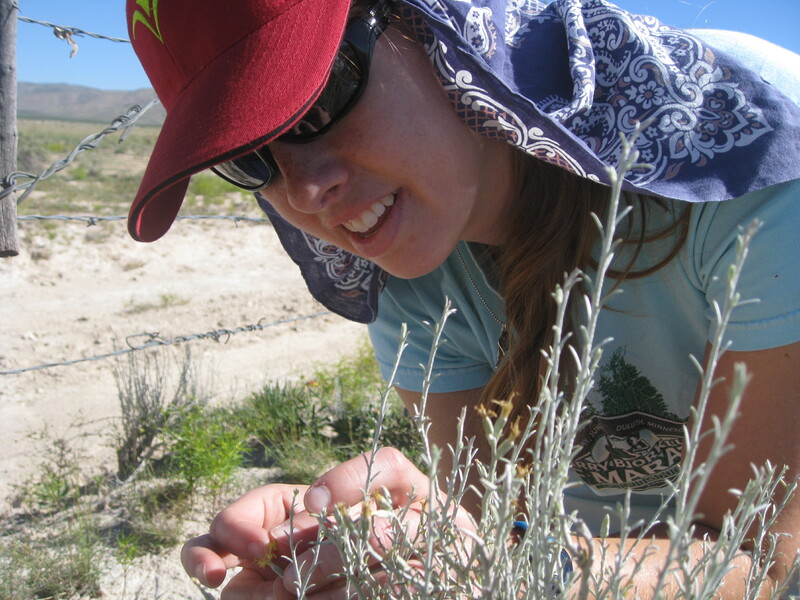 Ultimately, she hopes to convey a successful technique to land managers who carry out the daily work of furthering the species and enriching the biodiversity of the southwestern landscape. “I really like that as part of the Garden we can help these public agencies and use our knowledge of genetics and conservation to stabilize and increase some of these rare populations. That’s really important to me,” said Williams. She has been intent on advancing conservation science since childhood, inspired by her aunt, an ecologist. Her interest grew into expertise as she studied the genetics of ferns while earning her Ph.D. in botany at the University of Wisconsin. In winter at the Garden, Williams takes every opportunity to walk through the Elizabeth Hubert Malott Japanese Garden. “I like being here in the winter and seeing a side of the Garden that’s unexpected: the snow and the beautiful structures in the Malott Japanese Garden,” she said. Perhaps it is that perspective, of looking for the unexpected, that will unlock the mystery of Lepidospartum burgessii one day soon.